Kent, UK - Green gifting means presents that will stand the test of time so why not start your search with antique and vintage items from the Bygones section of SalvoWEB. 1. 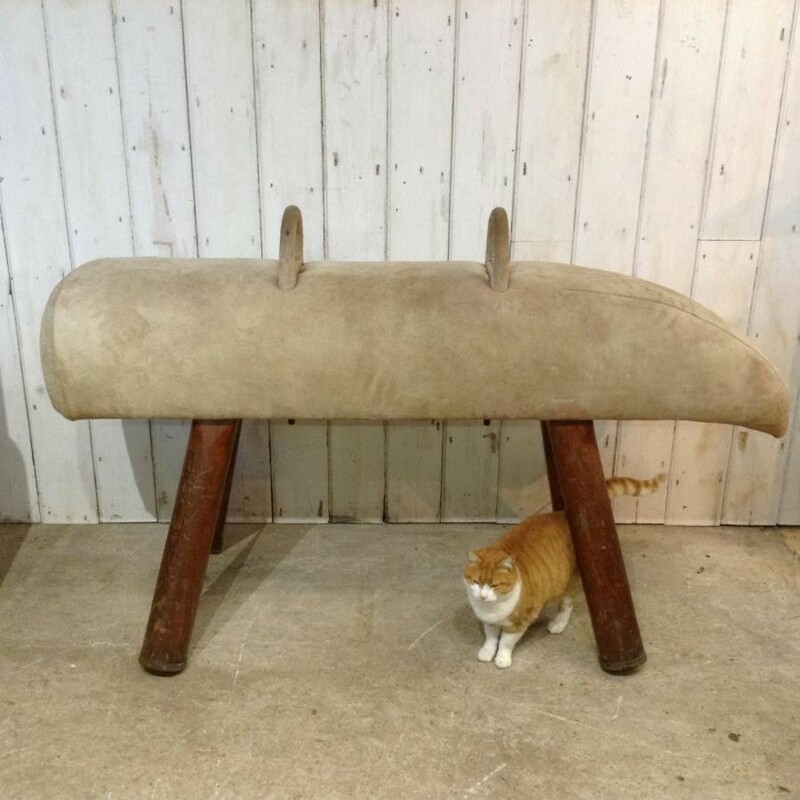 An original vintage pommel horse complete with handles. Also comes with 4 height-adjustable legs. The suede top appears to have seen some use but overall is in a good condition. For sale from V&V Reclamation. 2. 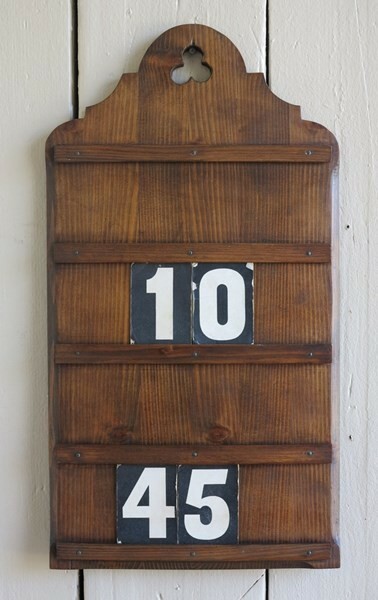 Antique Wooden Wall Mounted Church Hymn Board. This is a lovely solid hymn board from the Victorian era. There are four spaces used originally for the hymn cards but they make fantastic holders for family photographs. For sale from UK Architectural Antiques. 3. 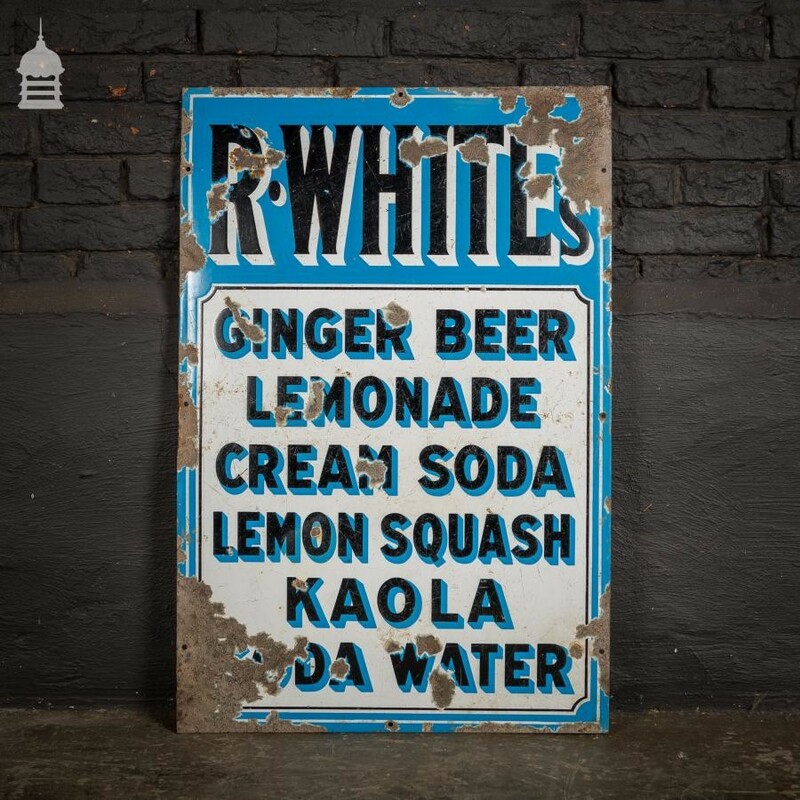 Original R. Whites Lemonade Enamel Advertising Sign Height: 760mm, 30" Width: 510mm, 20" Please be aware that all our enamel advertising signs are original and have varying degrees of wear and tear. For sale from Norfolk Antique and Reclamation who also have a selection of other signs for sale. 4. Assorted vintage gilded signage letters with mounting bolts. Solid and durable suitable for outdoor use. Twenty three in total. For Sale from Norfolk Antique & Reclamation. 5. 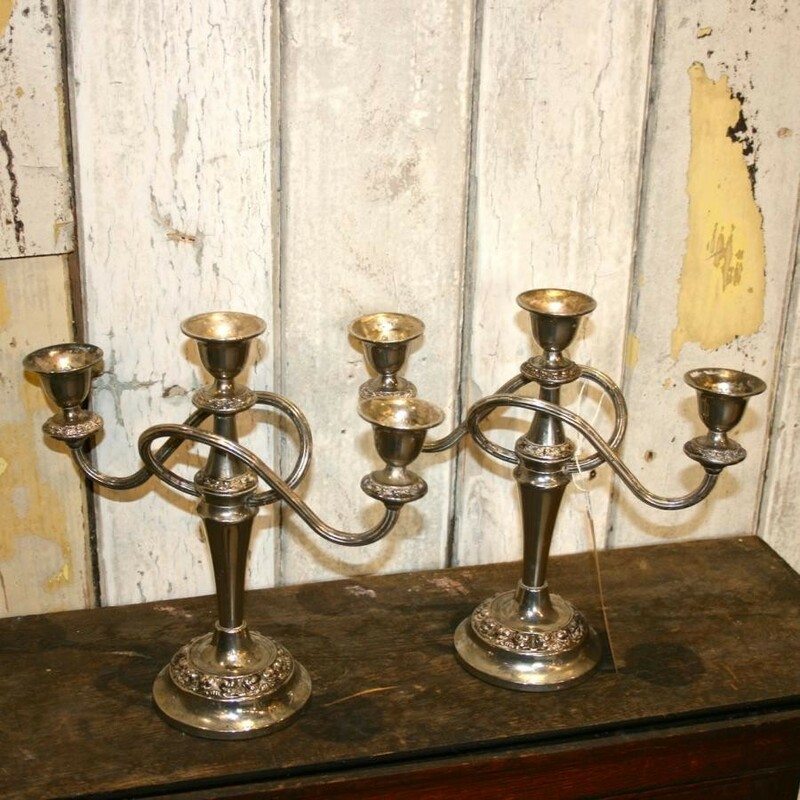 A pair of antique 3-pronged silver candlesticks featuring decorative detailing on the stem and base. 25cm high x 25cm wide 10 inches high x 10 inches wide. For sale from Architectural Forum. 6. 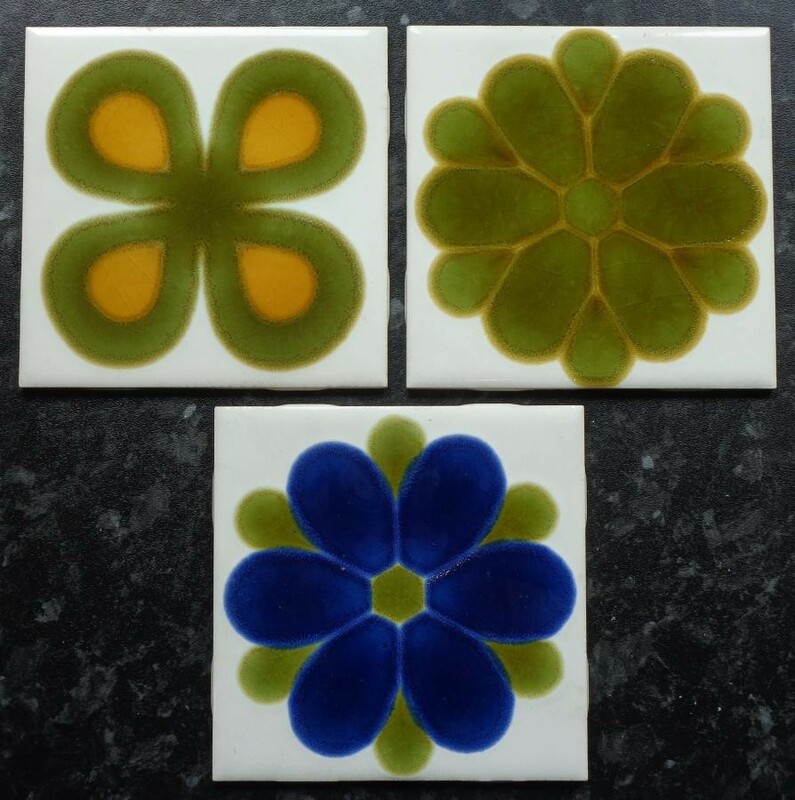 1970s " Cristal" ceramic tiles by H & R Johnson. Some slight crazing to glaze. For sale from Abergavenny Reclamation. All images ©Salvo are items currently for sale on the SalvoWEB online marketplace. Another green option is to buy local. See the Salvo directory for salvage, antique and reclamation showrooms near you. Alternatively follow the idea of buying less and instead donate to Médecins Sans Frontières (MSF) via the Salvo team Virgin money fund raising page. See the link below. SalvoWEB: Bygones For Sale section.